The OPTP Pro Balance Pad provides the ideal surface for stability training and rehabilitation. 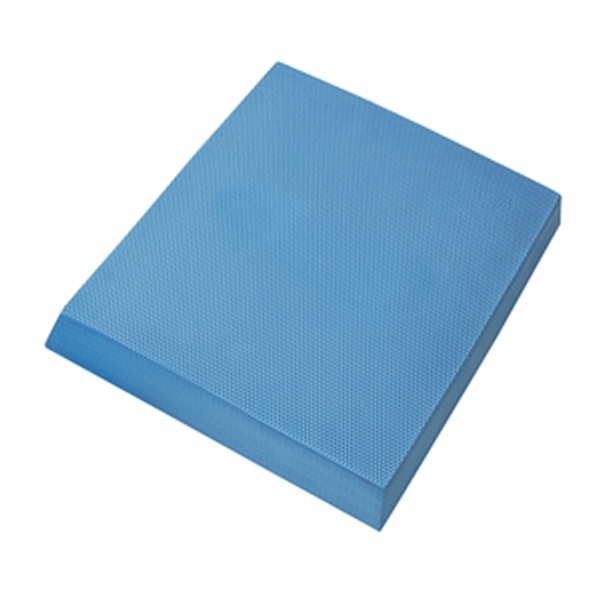 The balance pad is 2.25" thick and constructed with a durable, closed-cell foam technology and is easy to clean. The pad is 19" x 15.25" x 2.25". Do not stand on pads while wearing shoes. 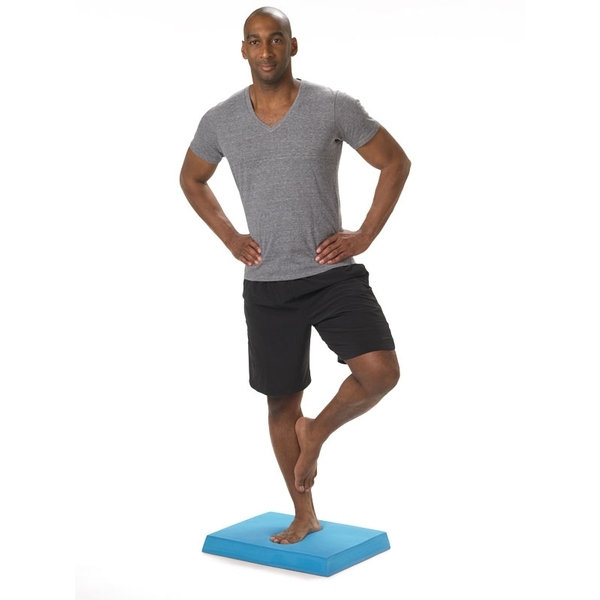 I purchased the OPTP Pro Balance Pad to aid with some exercises at home. I use it on concrete floor and it does exactly what you&apos;d expect. I&apos;ve used the comparable Airex pad, and they are identical in terms of size and softness. As far as I can tell, the only difference (aside from the price) is that this pad has a slightly textured surface. Would recommend. Floor becomes slippery after use. We purchased this to replace our airex balance pad. Just as good as the airex and much cheaper. However, if used on linoleum floor the floor becomes very slippery after use. Need to attach nos-skind material on the bottom, or use on carpeting.